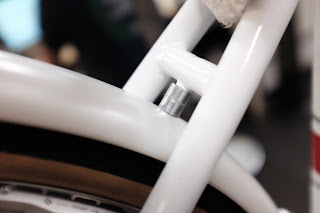 Japanese bicycle part makers like Nitto and MKS don't usually promote in English much or reveal pictures of their factories on the internet, so it is a treat when our Japanese agent shares this MKS video with us. Learn a little more about the veteran pedal maker, who makes NJS track pedals, the ubiquitous Sylvan line of pedals, Rivendell's Grip King Pedals as well as our new Citoyen Du Monde. You already know how we feel about 650b tires. If you don't just google 650b and it should become immediately apparent. You can call it 27 point whatever if you like. 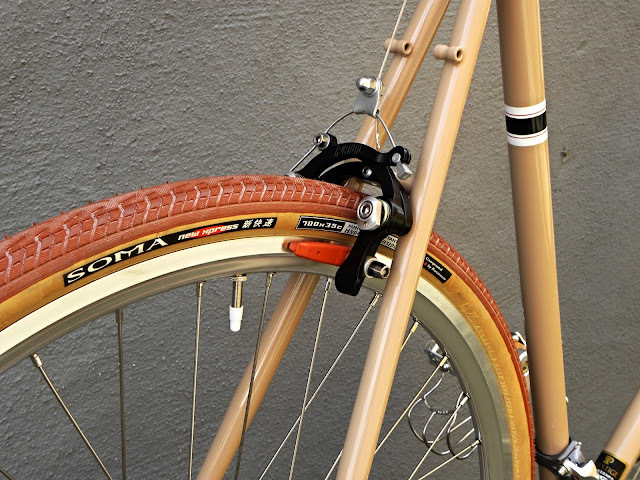 So when we decided to introduce a new size for the San Marcos frameset, we went with 650b wheels. 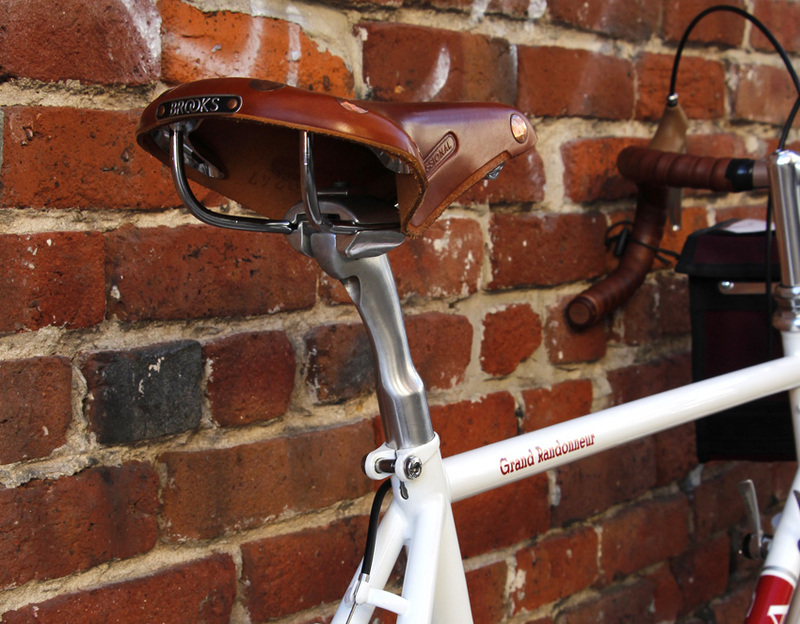 As you may know, the San Marcos was designed by Rivendell and uses their lugs, but with Tange Prestige tubing like our other frames. The current crop comes with a more Rivvy, frenchified fork, that we think looks great. Overall it's similar to the late Bleriot of yesteryear, but with a few nice features like front rack eyelets and a kickstand plate. It's not low trail. That's kind of the point. The San Marcos doesn't need a front load to stabilize the steering, but it will still accept one as long as you remeber to steer the thing. All the 650b San Marcos frames also fit Soma's Cazadero gravel tires. 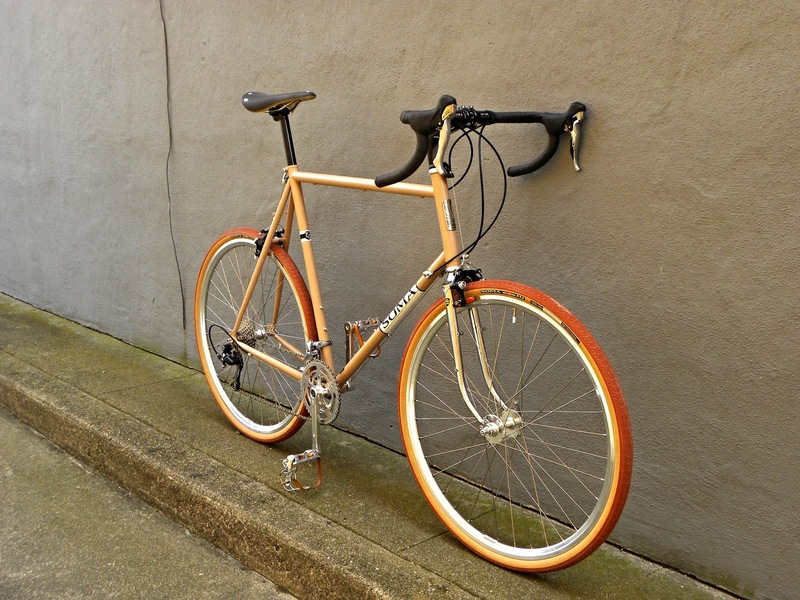 Now you can really have one bike for road riding, touring, brevets and commuting around town. Even though the San Marcos is probably the coolest frameset we've ever made they just don't sell enough units to keep the project alive. So if you think you'd like to own one of your very own to keep and cherish forever and ever, you've got until the current batch runs out to make up your mind. 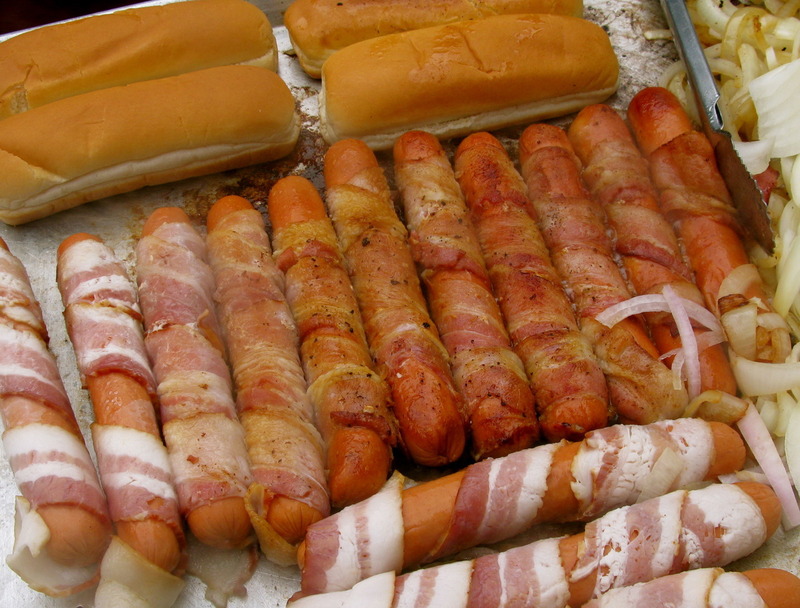 Once these are gone, that's it. The San Marcos will be going to join the XO-1 and the Saluki in the place where awesome bikes go when they don't get the love they deserve. But don't worry too much, cause we still have a few. More pictures of the builds from this post can be found at American Cyclery's Official Flickr account. The Soma 650b, low trail, randonneuring frame gets a fresh paint job for 2016. Our friend Dean Santos, who always wanted to get one, volunteered to build up the sample frame for our photos. 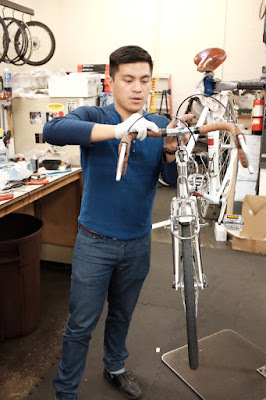 By Dean Santos – I’ve wanted to build a Grand Randonneur, ever since I heard the project discussed when I used to work at Merry Sales. I don’t know if it’s the lure of the 650b tires or the low-trail geometry, or even the mystique of riding thin tubes and experiencing planing. 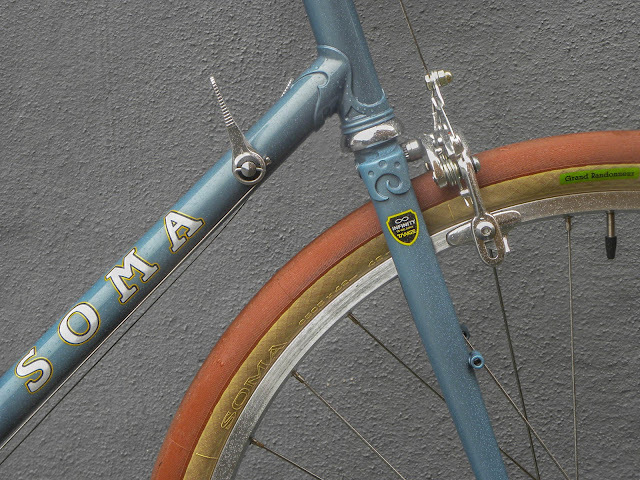 There’s just something about this bike that made me want one… really bad. 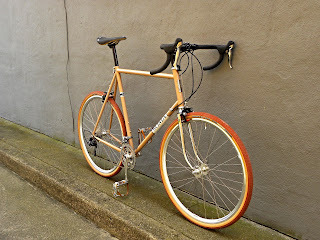 While in college, I rode a commuter bike I got from a trade. 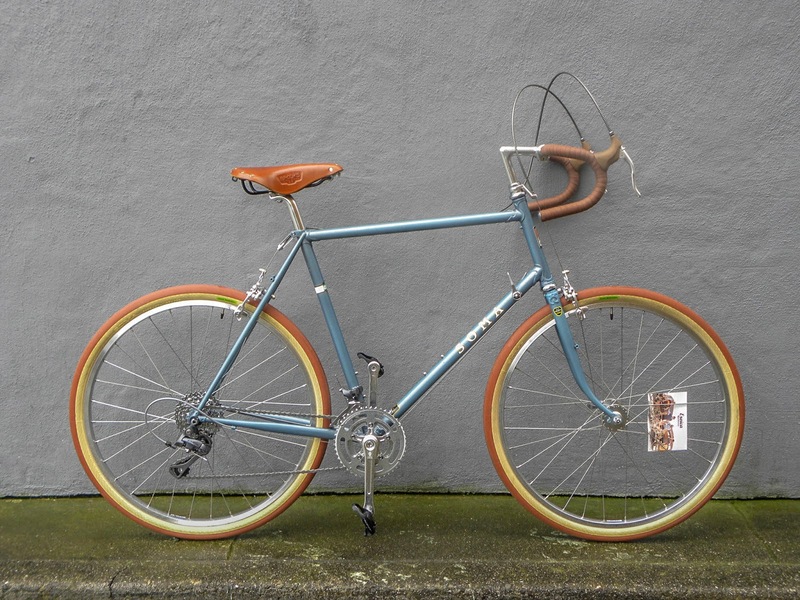 I had it built up the way Grant Petersen would have: Fat Wald basket up front, leather saddle, a Cardiff saddle bag, fenders, wide 32mm tires, and a Nitto Albatross bar for a nice upright riding position. 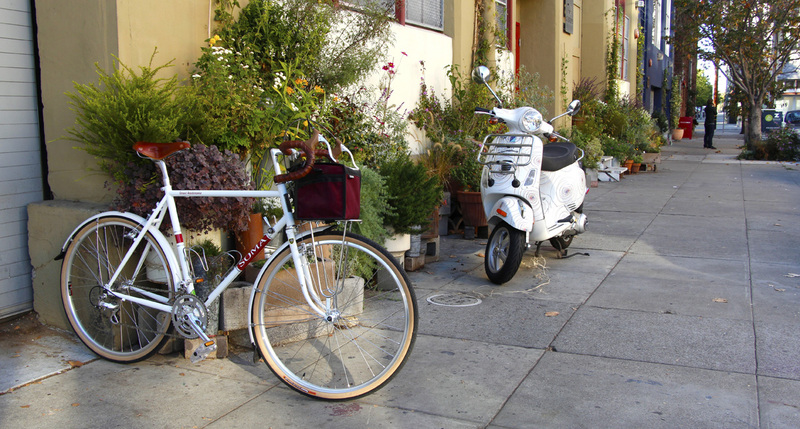 It was my go to bike for commuting, urban exploration, Bike Party, and general tomfoolery. I often packed the front basket to the brim. On longer rides, I start feeling the fatigue of trying to keep the front end straight under load. I find that after a certain point, the effort needed to keep the front in control goes up as you load more weight. This made me dig more into Jan Heine’s findings on low-trail geometry and its benefits regarding front load handling. 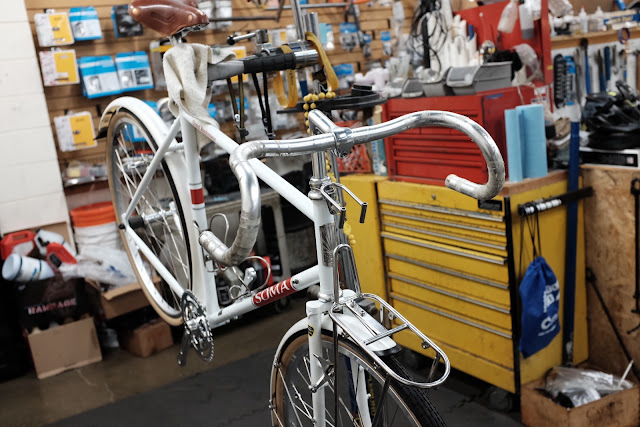 One fateful day, I dropped by the Soma headquarters to pick up some parts and saw the sample white Grand Randonneur laying on the floor. The glossy white with red panels elicited the same kind of excitement reserved for bacon-wrapped hot dogs after a bar crawl in the Mission. It was my size and the stars aligned. I wanted to build it. I immediately began thinking about the parts I had in my parts bin. I wanted to go full retro with non-aero brake levers, etc. 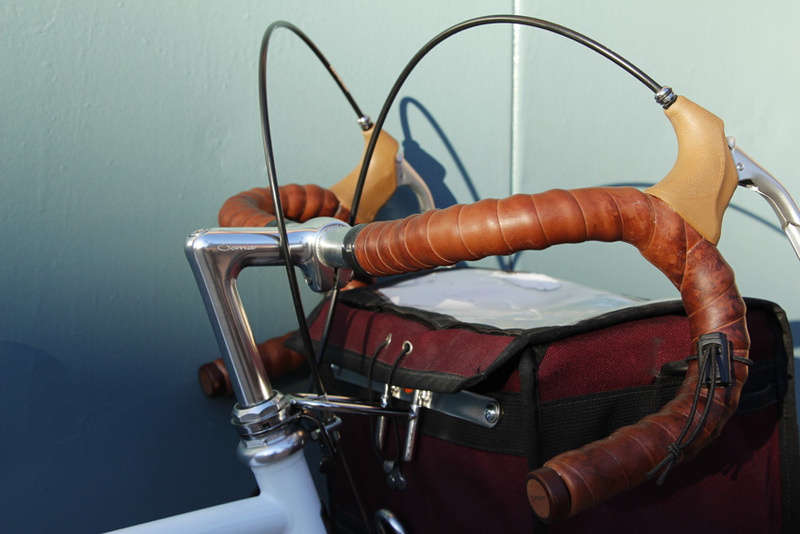 In my bin, I had a Nitto Grand Randonneur bar that I used on a Schwinn touring bike I rebuilt, a Soma Champ Elysees rack, leather bar tape, and even a randonneur bag from Zugster. And of course I had to use the Dura Ace 7700 parts I had found in the trash behind a bike shop. The build sheet took longer to finalize than I care to admit. 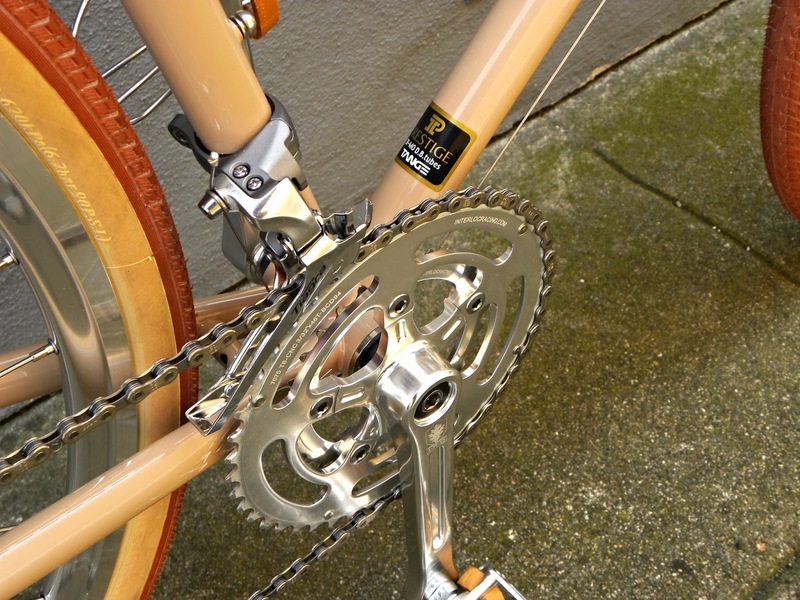 One of parts I wanted to try out was the IRD Defiant crank with a unique 46-30t gearing, but that choice became a headache when matching it up with the Dura-Ace short cage rear derailleur. 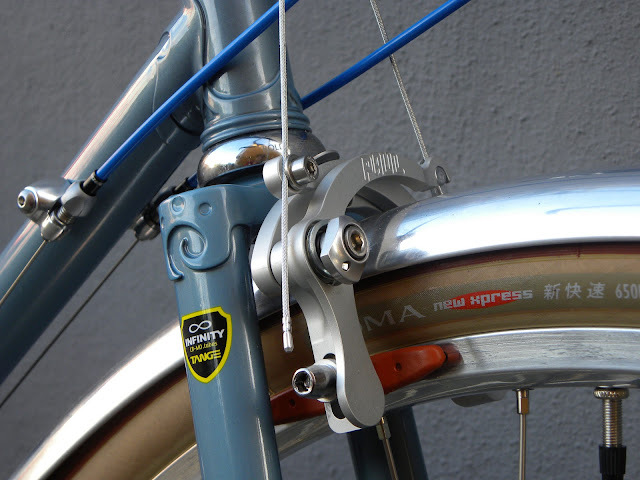 The maximum chain wrap capacity of the Dura Ace derailleur is 29T. With a 46/30 crankset, the biggest cog I can use to make the derailleur work was a 11-25t cassette. Even with a 30t chain wrap, I have to be mindful not to use the 30t/11t combination. The decision to keep the Dura Ace derailleur was based purely on its bling bling factor. The whole build took about eight hours to complete. I did not cut any corners and I meticulously adjusted and set every aspect of this build. I’ve been riding this bike as a commuter for the past two months and I’m really happy with the way it rides. On my 10 mile one-way commute, I like how mild-mannered the geometry handles. It’s not as snappy as my other carbon bikes, but the ride quality of the Grand Randonneur is on another level in comparison. It reminded me of why I love steel and why there’s a place for it in my stable. 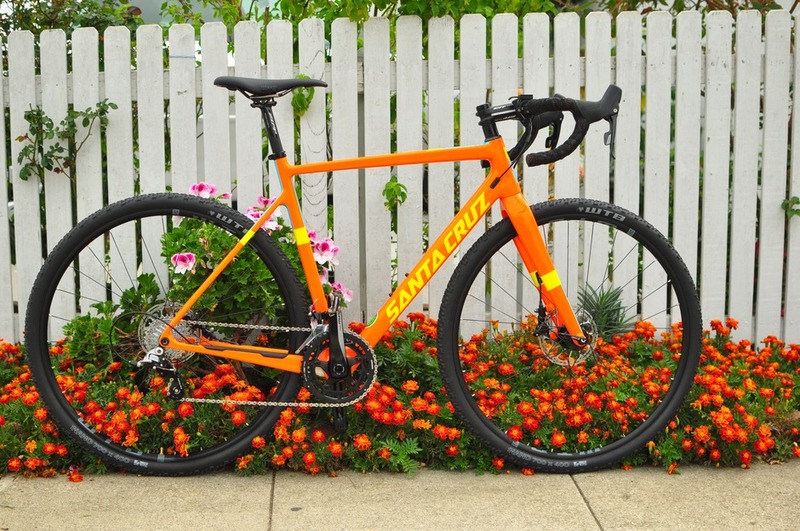 I get more compliments on this bike than my Santa Cruz Stigmata CC. Thank you to Passion Trail Bikes (Belmont's premier mountain bike shop) for letting me borrow a stand and helping me cut and rethread the fork steerer a little shorter. Cranks, saddle, rack, and front fender installed. The rear fender is not done yet. This is about four hours worth of assembly. I like to take my time for proper builds and not cut any corners. The leather tape I had lying about looked a little dried out. color which matched closer to my Brooks saddle. 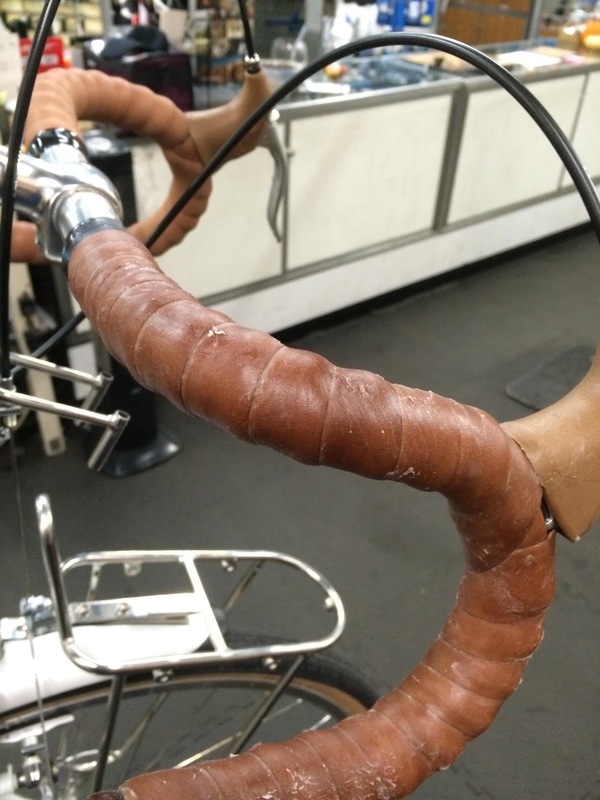 Water proofing the bar tape. American Cyclery is our oldest dealer, and the shop we go to for technical advice. They build a lot of custom Soma frames and test most of the prototype frames we send out. One question that commonly comes up is what parts to use on our super large frameset, so I thought I would share this 66cm ES built for an XXXL rider. The 66cm frames have a very long headtube, but most of our steel forks are fine for the job. 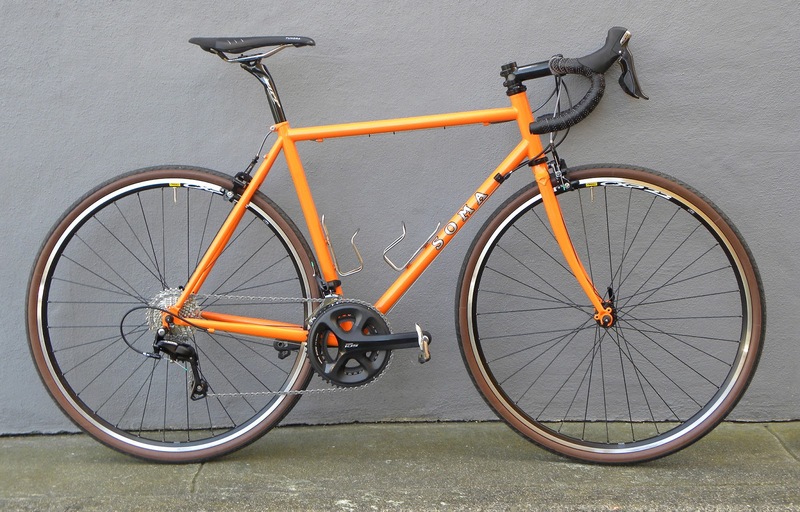 This one was built with our Champs Elysees low trail fork. Normally the ES doesn't need this much rake in the larger sizes, because it already has plenty of toe clearance, but with this build we wanted to use the largest tires we could fit and still have room for fenders. 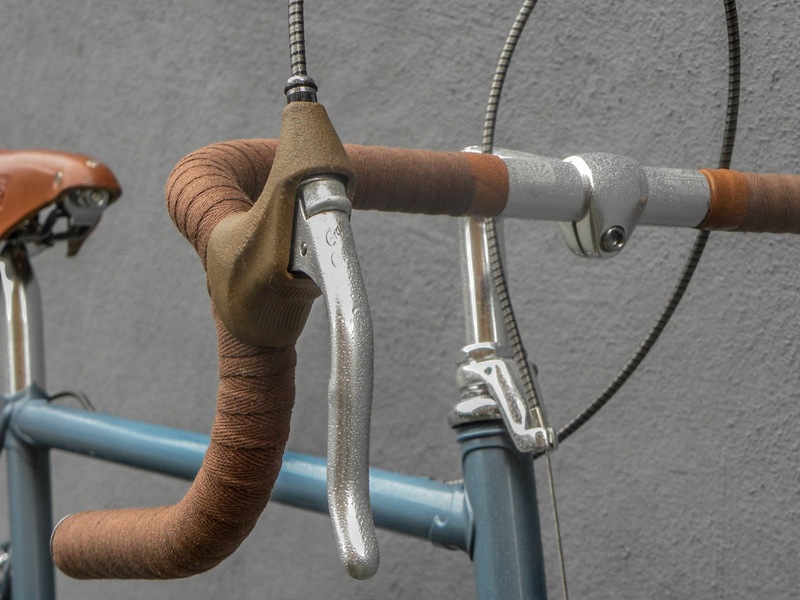 Another benefit of the Champ Elysees forks is their integrated rack mounts that allow it to accept a variety of front racks for Randonneuring, bike camping or even loaded touring. The ES currently comes with 57mm brake clearance. 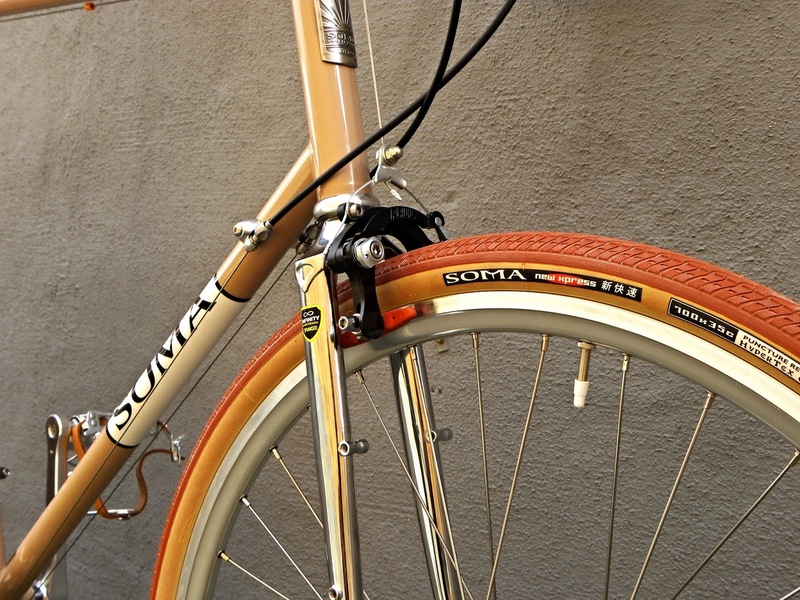 We are using Japanese made 35mm Soma New Xpress tires on 23mm rims so we needed brakes with maximum room. 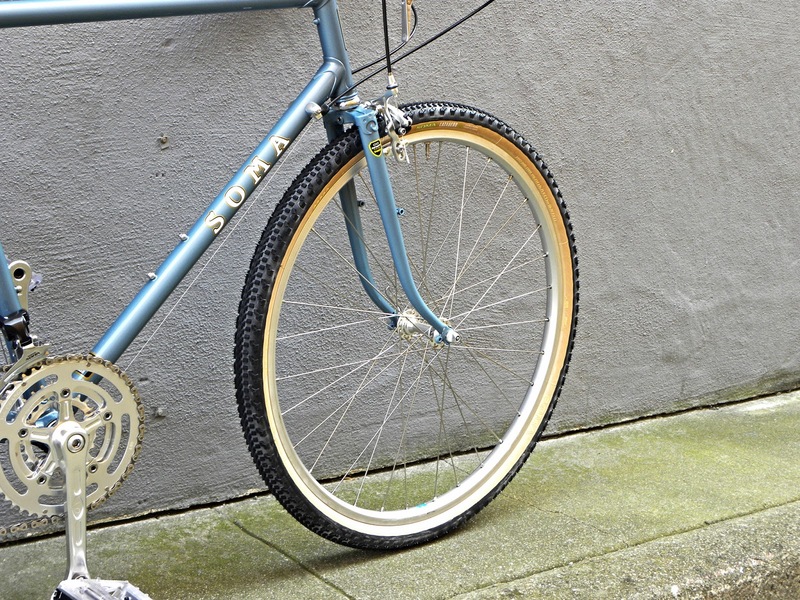 The Original Paul Racer, modeled after classic Mafac centerpulls, is perfect for the job, and will provide enough stopping power for heavier riders (no offence tall folks, but you need some good brakes). This generation Champs fork has slightly more tire clearance than the original ES fork does so we have plenty of room up front. We went with IRD 175mm cranks, which are shorter than some people would use on a bike this large. We feel that due to the wide range of gears on this drivetrain a shorter crank is better as it incentives spinning a high cadence rather than mashing up hills in the big ring. The hubs are the sealed bearing Suzue High Flange light touring model. 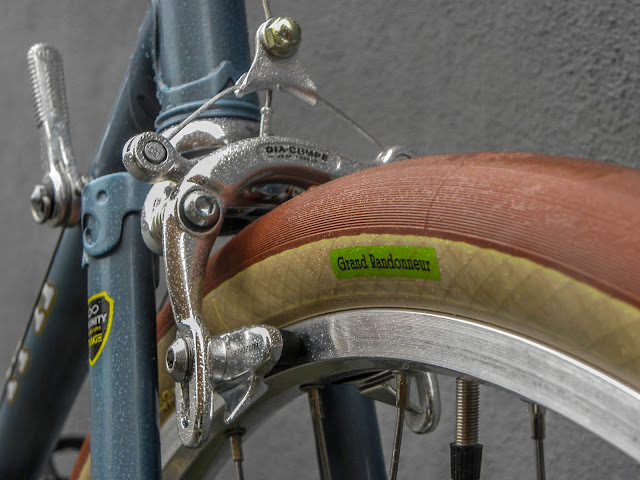 They're compatible with 8-10 road cassettes, which we prefer for their longer wear life. 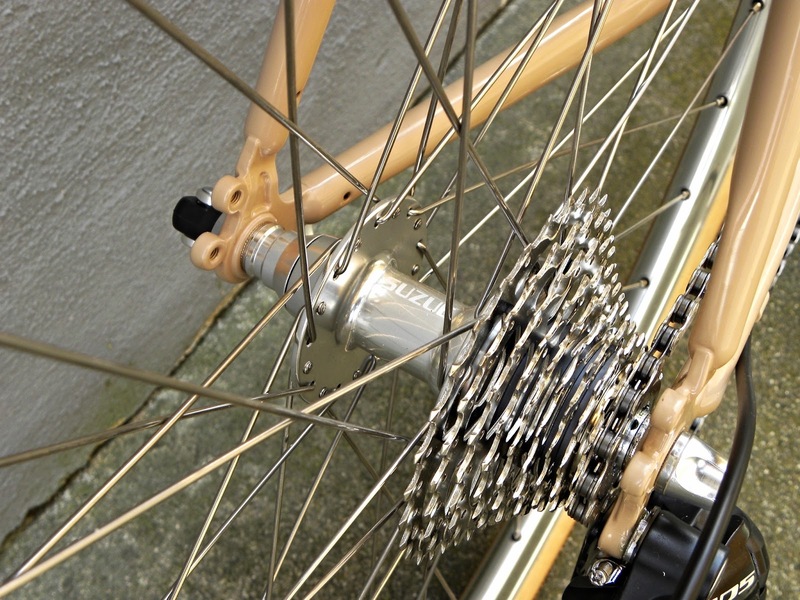 Newer models are available with 11 speed compatible freehubs, but 10 speed seems to be the best value for indexed drivetrains these days. A Shimano 105 GS does a fine job shifting our IRD Elite cassette. 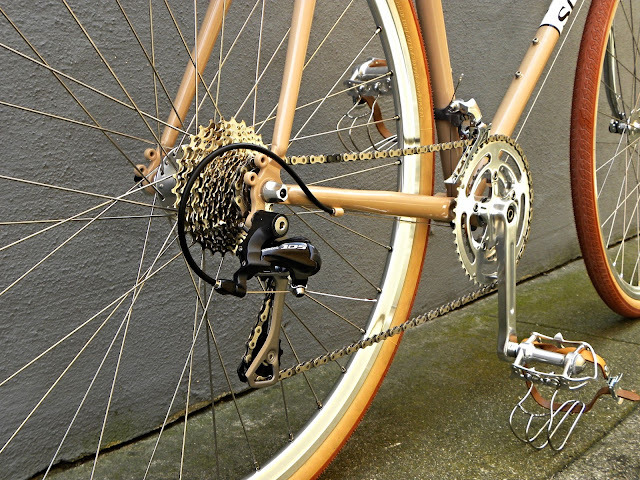 MKS Sylvan road pedals and stainless toe cages give this bike a classic vibe. Since the ES has downtube shifter mounts as well this would be a good choice for California Eroica or the SF Randonneurs series. We offer the ES in such a wide range of sizes because it really is one of the most versatile bikes out there. For thousands less than most carbon bikes you get a machine that can take you almost anywhere and will last for many many years longer. 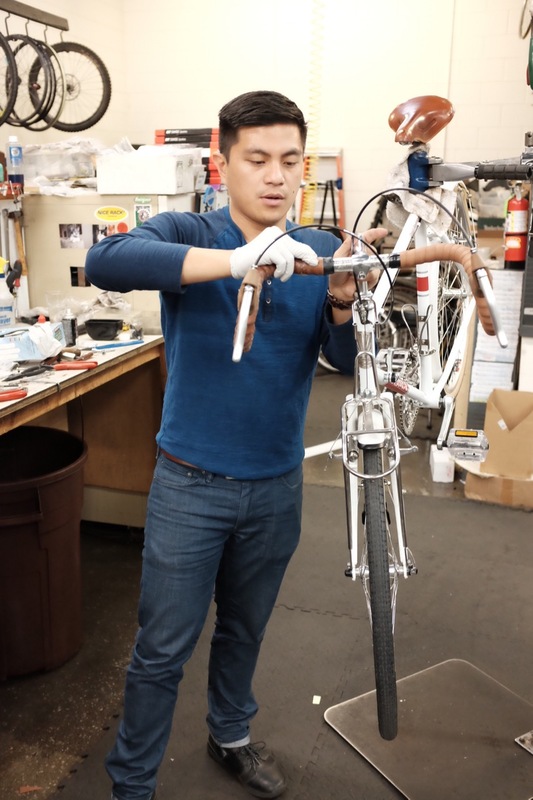 American Cyclery also offers custom paint, along with fitting and maintenance out of their San Francisco store front. 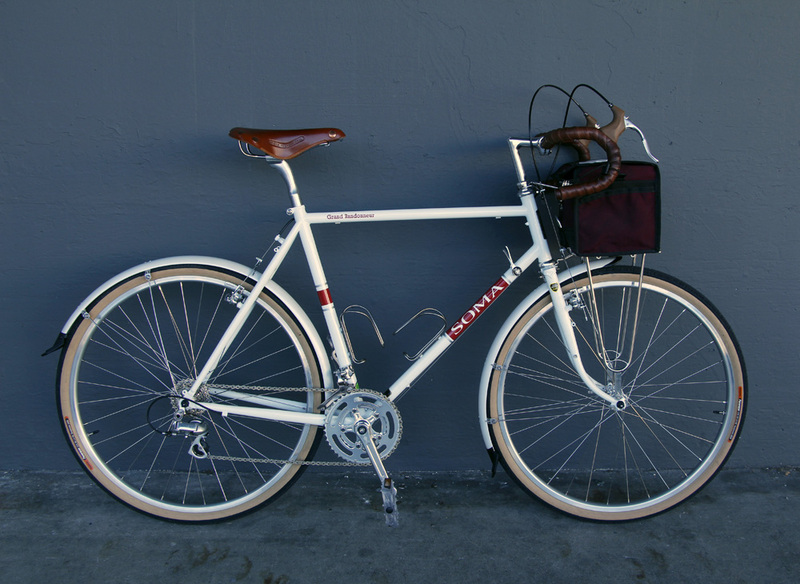 Custom built bicycles can be made to order via their website or in person the next time you're in the Fog City.